Can I receive the course schedules each month? Yes, go to "join our newsletter page" to receive our monthly blasts containing our course schedules and promotions. How far in advance do you schedule your classes? Typically, TSCTA's courses are scheduled at least 4 weeks in advance of the actual training date. What type of photo I.D. is acceptable? Accepted are driver's licenses; US military ID; passport; OR state photo ID cards. What do I need to bring for the training? Photo identification, note-taking materials such as pad and pen/pencil. For security guard courses please refer to the relevant Security Guard course webpage. I did not pass the final exam for my training course. What options do I have? Each course has its own exam retake policy and procedures which are outlined in the Completion Requirements section of each course page. English is not my first language. What other languages do you offer courses in? While many of our courses are offered in languages other than English, some courses have specific language requirements. Please refer to the language section of the relevant course page for more details. How do I know if a course is available to take online? Only courses listed under the Virtual Academy are available online. All others require in person attendance and participation. I have registered with TSCTA before but I can't locate some of my log in information. Can you help me? Your user name (log in) is the email address you provided TSCTA the last time you registered online. You can request to reset your password online using the log in screen by clicking on the “forgot password” link or by contacting TSCTA’s office to verbally request during regular business hours. Can I use my debit card when registering online? Yes as long as the debit card has a Visa, MasterCard, Discover or American Express logo on the front of it. Are there promo codes available for discounted online registrations? Typically, yes, however they change month to month so it is best to contact our offices at 718-389-2103 to receive details of current promotions. Can I register online for TSCTA's courses? I am taking the training in order to satisfy the education requirements for a registration, certification of license. Does my course fee include all associated costs? Your course fee covers all materials for your training but does not include any additional fees payable to the DOB, EPA or otherwise. I have multiple people to register for a class. Am I eligible for a discount? TSCA does offer group discounts for many of their courses. Please review the Course Price section of the relevant course or contact our offices for more details. I missed some of my training course. Can I make the time up? It depends on which course you were attending. Each course has its own attendance requirements, which are available in the Completion Requirements section on each course's webpage: Safety Training Courses. I cannot attend the training I am registered for. How do I proceed? TSCTA’S policy requests 3 business days advance notice to cancel or request to be rescheduled for another course. Requests for schedule changes can be submitted to info@tscta.com or by fax to 718-389-6155. Please visit Registration / Cancellation Policies. I am running late for my class. Should I still attend the training? Under most circumstances, TSCTA has a grace period to accommodate late arrivals. We would encourage you to contact the training center for individualized assistance if you anticipate arriving in excess of 15 minutes after the course start time. I am interested in having training at my location. Is that possible? TSCTA does onsite training for many of their courses. Please review the Onsite Training Request section of our website to complete and submit an onsite training request form. We will contact you within 1-2 business days of receiving your request. I lost my course completion card. Can I get a replacement? That depends on the type of training, how long ago it was, if a replacement was previously issued and other factors. More detailed information can be found on TSCTA’s website under Duplicate Course Completion Materials Request. Please carefully review each of the options to properly select the form you need to complete your request for replacement material(s). If you still have questions, please contact our office for more information. I am registered for a class at TSCTA and need travel instructions. Where can I find this information? What is Local Law 196? Beginning March 1, 2018, many building construction workers must have completed at a minimum, 10 or 30 hours of OSHA safety training. This applies to all job sites that require a Site Safety Plan, therefore sites with a Construction Superintendent, Site Safety Coordinator or Site Safety Manager. Owners and builders of buildings less than 10 stories, please note that this law is applicable to you. Can I obtain a new completion card if I took the training prior to February 29, 2016? Workers who already have 10-hour and 30-hour cards do not need to change over to the new cards. They may choose to purchase a new card by contacting the trainer who conducted the class, but only if the course was taken within the past five years. 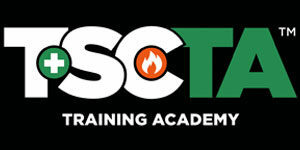 If you took your training with a TSCTA instructor, to request a replacement card click here. If my employer paid for my OSHA training, will I receive my course completion card? OSHA cards will be distributed directly to the student, regardless of who paid for the training. If my employer paid for my OSHA training will I receive my student course completion certificate? OSHA cards course completion certificates will be released directly to the party that paid for the training. How will I receive my OSHA card? Cards will be distributed by mail or in person pick-up depending on what was requested on the “insert name of form”. When can I expect to receive my OSHA card? It takes approximately 30-90 days for the card to arrive from OSHA. The course completion certificate issued at the completion of the course is valid for 90 days until you receive your OSHA card. Do I have to pass an exam to receive my OSHA course completion card? No, OSHA does not require students to take a test. There is no "pass" or "fail" for our OSHA classes. As long as you are present for the entire class, actively participate in all class exercises, have paid in full for the training AND have presented valid picture ID, you will receive your OSHA course completion cards. Is there a refresher course for the 10-hour OSHA course? No, there is no OSHA refresher course. Students must retake the 10 HR OSHA course to obtain a new OSHA course completion card. Are the 32-hour suspended scaffold supervisor and 32 hour rigging foreman programs the same courses? Yes they are. In 2012 the NYC DOB updated the name of the 32-HOUR RIGGING FOREMAN course to the 32 Hour Suspended Scaffold Supervisor Training course. When will I receive my scaffold card? Your company/employer paid for the training and requested that the card be mailed to their office. Scaffold classes which require that students pass a final exam will be available for pick-up 1-2 business days after the end of class. Can I keep working with an expired scaffold card? As per NYC Department of Buildings, persons with expired cards are not allowed to work on any type of scaffold. How long after my scaffold card expires do I have to renew? All scaffold refresher courses must be taken within one year of the original card's expiration date. If more than a year has passed since the card has expired, the entire 32 Hour Supported Scaffold Installer/Remover, 16 Hour Suspended Scaffold User or 32 Hour Suspended Scaffold Supervisor course must be taken again. How do I renew my scaffold training? The renewal process is different for each type of scaffold training. Below is a list of card type and the relevant renewal process. How often do I need to renew my Scaffold ID Training? Rigging training is needed whenever the equipment is rated for more than 2000 pounds and not directly employed by a Master Rigger. All workers need to have 16 Hour Rigging Worker training and at least one person needs to have the 32 hour Rigging Supervisor training. What is the difference between the 32-Hour Suspended Scaffold Supervisor course and the 32 Hour Rigging Supervisor course? The 32 Hour Suspended Scaffold Supervisor course is designed for individuals who exclusively work with Suspended Scaffolds while the 32 Hour Rigging Supervisor course is specific to those who work with hoisting and crane operations. I am a new Fire Safety Director Candidate, how do I get started? New candidates who do not possess the F-85 C of F should first review the FLSD C of F qualifications. Additional information can be found in the FDNY F-89/T-89 Notice of Exam Bulletin. I've reviewed the criteria and want to proceed. What training do I need to get the FDNY T-89/F-89 Certificate of Fitness? I've completed the three required training components for the FLSD C of F; what's next? Within 9 months of completing all 31-hours of required training for the FLSD C of F, candidates must pass the first FDNY administered, computer-based test, the Fire Component. For additional information, refer to the "Ready to Apply Section" of the FDNY overview of the FLSD C of F process. What happens after I pass both the Fire and Non-Fire Emergency Computer-Based Exams? Applicants who pass the computer-based exams will receive a passing letter immediately after completing each exam. The FDNY will now review your professional qualifications and if you meet the requirements, they will issue the Certificate of Completion. You must schedule an On-Site Exam appointment no more than 1 year from the issuance date of the Certificate of Completion. How do I obtain my T-89/F-89 Certificate of Fitness? Applicants who pass the FDNY's On-Site Exam will receive their Certificate of Fitness directly from the FDNY via mail. What happens if I do not pass the FDNY Computer-Based Exam? Candidates who fail the computer-based exam will receive a printed score report immediately after completing the exam. Applicants will be allowed to take each computer-based exam two twice. Thereafter, to retake either exam, applicants must schedule a new appointment online and pay the applicable fee. If an applicant fails the computer exam a second time, they will need to repeat the required training. What happens if I fail the On-Site Exam? Applicants who fail the FDNY's On-Site Exam will receive a failure notice via mail. Applicants are allowed to take the on-site exam up to two times per the FDNY; to retake the exam, authorized personnel must schedule an appointment as outlined here. If an applicant fails the on-site exam a second time, they must retake both the FDNY's Fire and Non-Fire computer-based exams. How long is the T-89/F-89 Certificate of Fitness valid for? This certificate must be renewed every three years. The NYC Fire Department (FDNY) will send a Renewal Notice 90 days before the expiration date. This letter includes the certificate number, the expiration date, and the amount of the renewal fee. For more information, please click here. What do I do if I'm a Fire Safety Director and/or Fire Life & Safety Director at multiple locations (more than two)? Certificate of Fitness holders seeking to be certified in additional buildings must submit the Fire Safety Director (F-85) and Fire Life and Safety Director (T-89/F-89) Variance Form. You will be required to list your current work hours at each location and state the physical building address where you plan on taking the On-Site Exam for a Fire Safety Director and/or Fire Life and Safety Director. The form must be returned along with the $200 fee. How do I transition from the F-85 Certificate of Fitness to the T-89/F-89? All Fire Safety Directors who have not taken the Non-Fire Emergency/EAP Course must do so by September 3, 2018, or by the time of the renewal date of their current F-85 Certificate of Fitness (C of F), whichever occurs first. For additional information on how to transition to the FLSD F-89 C of F, click here. I have a current F-25/F-58 C of F that needs to be renewed. What do I do? The FDNY will no longer renew this Certificate of Fitness. Current active FSDs must successfully complete the Active Shooter Medical Emergency Preparedness Training (ASMEP) course by September 4, 2017, OR the date of their existing Certificate of Fitness to receive the new F-85 C of F. For additional information on the Fire Safety Director (F-85) C of F, please visit the FDNY's website. How long is the S-56 certificate of fitness valid for? The certificate must be renewed every three years. Do I receive my certificate of fitness once I pass the S-56 course exam? No, students have to formally apply to the FDNY and take at least one additional exam with the FDNY in order to earn the Certificate of Fitness. For additional information, click here. What training do I need to take for the FDNY S-56 certificate of fitness? The Construction Site Fire Safety Manager training is required. For all FDNY courses listed above how long is my course completion certificate valid? For all courses except the 3 required FLSD component courses, the course completion certificate is valid for one year. Students must pass the FDNY Certificate of Fitness exam(s) before the certificate expires. For the FLSD required component courses, the course completion certificate (Graduation Diploma) is valid for 9 MONTHS from the issuance date on the latest school diploma. If the training was not completed at one time, the last date to take the Fire Emergency Component computer-based exam will be determined based on the LATEST school diploma issued by an FDNY certified schoo. Under the EPA’s February 2016 ruling, Renovators can take a refresher course without the hands on training every other time they get certified. If the Renovator completes a Refresher course which includes hands-on training, their certificate is valid for 5 years. If the Renovator completes a Refresher course that did not include hands-on training, their certificate is valid for 3 years. How often do I need to renew my RRP lead safety initial training certificate? The initial certificate is valid for 5 years. IACET stands for the International Association for Continuing Education and Training. The organizations mission is to advance the global workforce by providing the standard framework for quality learning and development through accreditation. ﻿What is an accredited provider? To ensure quality in Continuing Education and Training (CE/T) programs and to increase consumer confidence in organizations that adhere to the ANSI/IACET Standard, IACET established its Authorized Provider program in 1991. This program recognizes organizations that have proven that their CE/T policies and processes meet all elements of the ANSI/IACET Standard. In 2015, IACET renamed their Provider title from Authorized Provider to Accredited Provider. Only Accredited Providers may award IACET CEUs. TSCTA received accreditation from IACET in 2014 and is therefore authorized to issue the IACET CEU for most of their safety training courses. IACET developed the CEU in 1970 as a standard unit of measurement for quantifying CE/T activities (CE/T). One (1) IACET CEU equals 10 contact hours of participation in an organized CE/T experience delivered under responsible ownership capable direction, and qualified instruction. IACET CEUs are recognized by learners, instructors, regulators and employers worldwide and can only be awarded by IACET Accredited Providers. This distinction assures employers, credentialing associations, licensing bodies and others that a learner has completed a quality program that meets the national standard for continuing education and training. Professional Development Hour (PDH) is defined as one contact hour of instruction, presentation or study. The term PDH is commonly used in the engineering community. 10 PDHs will be credited for 1 CEU as long as the provider follows IACET's requirements as is the case for TSCTA courses. Determination of qualifying activities must be made by the licensee in the states that do not pre-approve courses or activities. With the broad range of opportunities to earn PDH, it is up to the licensee to determine whether the activity qualifies under the Board's requirements. A Learning Unit (LU) is used by the American Institute of Architects' Continuing Education Systems (AIA/CES) and is based on a 60-minute hour. Time beyond 60 minutes is recorded in quarter-hour increments (e.g., 1 hour 45 minutes = 1.75 LUs). How many CEUs can I earn by attending one of TSCTA’s courses? The number of CEUs available for eligible courses varies based on the number of contact hours included in the training. Eligible courses will contain the IACET logo in the course description section of TSCTA’s website as well as appear on the course syllabus. 1.0 IACET CEU (Continuing Education Unit) = 10 PDH's or 10 LU's. What requirements do I need to complete to receive CEUs? Attendance for 100% of the training. Active participation in all in learning activities. Successful completion of required pre and posttest and, as applicable, achievement of minimum passing score on required course examination. CEUs is a measure used in continuing education programs that applies to many licensed professions who are required to obtain in order to maintain their license(s). Such professions include but are not limited to: architects, engineers, school administrators, teachers, nurses, interior designers and social workers. CEU requirements may differ from each state. NYS recognizes IACET as an approved sponsor and therefore accepts the IACET CEUs issued by TSCTA. To confirm TSCTA’s Authorized Provider status, please click here and enter "TSC" in the Filter by Name field. Architects: Every NYS licensed and registered architect must complete 36 hours of continuing education during each three-year registration period. A minimum of 18 of the 36 hours of continuing education must be completed through courses of learning. For additional information, please click here. Engineers: Professional Engineers in New York must register with the State Education Department every three years to practice their profession. For registrations due on or after 1/7/2007, professional engineers will be required to complete 36 contact hours of continuing education in each three-year registration period. * For more information, please click here. Land Surveyors: Land Surveyors in New York must register with the State Education Department every three years to practice their profession. To register, individuals must complete 24 hours of continuing education during each three-year registration period. For more information, please click here. The Board of Certified Safety Professionals (BCSP) sole purpose is to certify practitioners in the safety profession. Individuals are required to re-certify every 5 years. One IACET CEU is equivalent to one re-certification point for students and instructors. For more information on BCSP, please click here. Certified Safety Professional (CSP): Certificate holders must accumulate 25 points every 5-years to recertify. Under Category 7, participation in continuing education courses and seminars, individuals can earn an unrestricted number of points per year. Occupational Health and Safety Technician (OHST): Certificate holders must accumulate 20 points every 5-years to recertify. Under Category 7, participation in continuing education courses and seminars, individuals can earn an unrestricted number of points per year. Construction Health and Safety Technician (CHST): Certificate holders must accumulate 20 points every 5-years to recertify. Under Category 7, participation in continuing education courses and seminars, individuals can earn an unrestricted number of points per year. Certified Environmental, Safety and Health Trainer (CET): Certificate holders must take 30 hours of safety and health courses, retake the Safety Trained Supervisor (STS) exam or earn the OHST, CHST, or CSP every 5-years. Can I use my IACET CEUs for college credit? Acceptance of IACET CEUs for college credit is at the discretion of the college or university. Similar to college credits that are given at one university and transferred to another, any organization has the right to accept or reject IACET CEUs. If you are concerned about whether particular organizations or associations will accept IACET CEUs, we recommend that you directly contact them. What is the purpose of the pre and the posttest? The pretest is an assessment tool that is administered at the beginning of your training to help us to understand your knowledge base as you begin the training. The posttest measures your knowledge of the material after the conclusion of your training, and helps us understand how well we have done at meeting the course learning outcomes. When will I receive my CEU course completion certificate and transcript? Eligible students who have met all outlined course requirements can expect their CEU certificate approximately 15 business days after the conclusion of their training. How can I obtain a copy of my CEU transcript? All students who successfully complete CEU requirements will receive a CEU transcript along with their course completion certificate or card. To receive additional/replacement copies of the transcript follow the instructions on the Request Course Materials page. I have lost my CEU course completion certificate. How can I obtain a replacement? Yes, please follow the instructions on the Duplicate Course Completion Materials Request page for further information. Please be reminded that there may be a fee for this service.